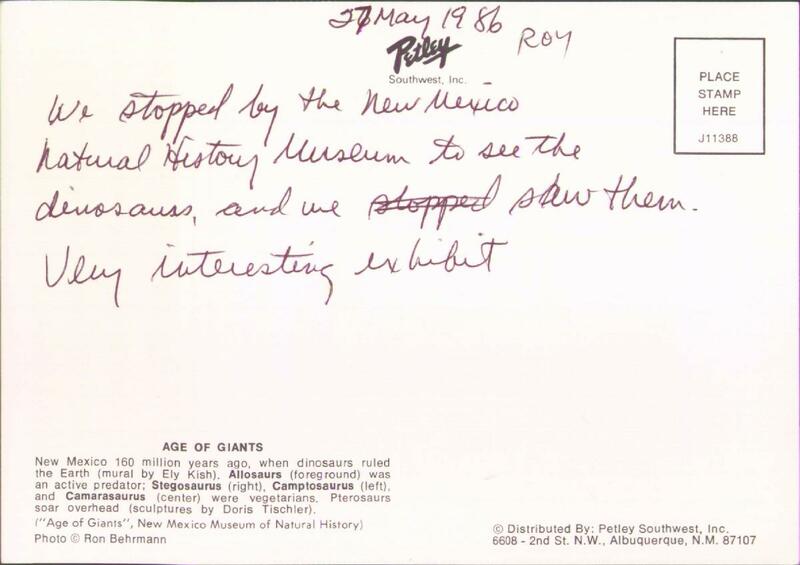 We stopped by the New Mexico Natural History Museum to see the dinosaurs, and we stopped saw them. Very interesting exhibit. 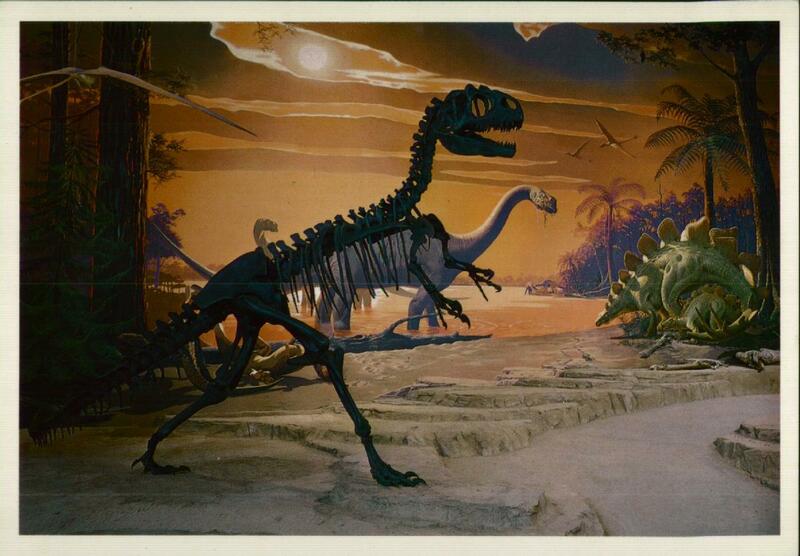 New Mexico 160 million years ago, when dinosaurs ruled the Earth (mural by Ely Kish). Allosaurs (foreground) was an active predator; Stegosaurus (right), Camptosaurus (left), and Camarasaurus (center) were vegetarians. Pterosaurs soar overhead (sculptures by Doris Tischler).